Why hello fall nail lacquer colours, aren't you awesome. Some cozy nail colours for the fall season, I'm a fan to say the least. 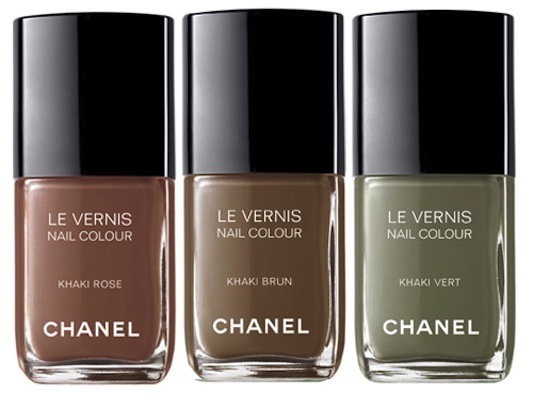 Introducing Chanel's latest: Khaki Rose, Khaki Brun, and Khaki Vert. Now the quest is how long until these colours are impossible to find? and if that so happens to include a marc jacobs bag, then so be it!